Do you have Opera News App on your phone? if you don't then you can still download from store, you enjoy best trending news and also get free airtime when you invite others to use it. Opera is an acient browsing app that help in minimizing data, later it was discovered to be slowing and sometimes display scatter interface. But currently they've upgraded their app and you now enjoy better interface. Recently they release another app called Opera Touch to enhance the sharing of contents between desktop and mobile. 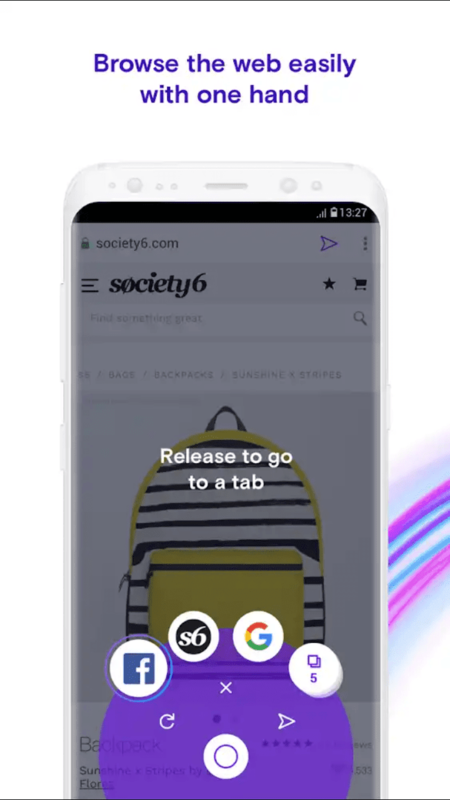 With Opera Touch you connect conveniently with the use of barcode and in less than some seconds you are connected. I think this is really cool experience, do you want to give a try? this app is available in playstore , you can download to see how it works. As soon as you install and launch, here is what you see; search field and also a keyboard is opened along side ready for typing. There’s also a Fast Action Button (FAB) at the bottom of the screen, when you press and hold it, a carousel of options would be opened like Switching Tabs, Reloading the page and Go back option too. Other features includes Cryptojacking protection, Ad-blocker, Dynamic speed, Flow and QR and Barcode scanner. If you could recap the previous paragraph you'd remember I said something about allowing you to share contents, yes it is. It allow you to send links from Opera Touch mobile to your your desktop opera browser by scanning through the barcode and you're go. Does it appear to you not useful? honestly it's cool, sometimes you might spotted a page when surfing and it seems not displaying very well on your mobile then you can share the link with desktop to continue where you stopped. Mind you it saves you from typing even in the process of typing possibly error may occur and it keep bouncing back, give it a try and you enjoy best experience.